In stock - low quantity. Order in the next 13 hours, 53 minutes and it will go out today! A coin is shown. 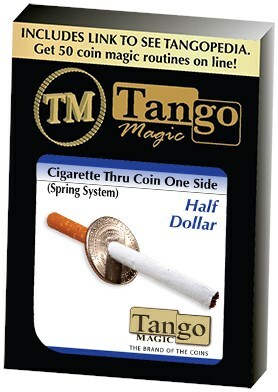 The performer than takes a cigarette (or pencil) and visually pierces the coin.